The search for bands to play the inaugural Savannah Rock ‘n’ Roll Marathon and 1/2 Marathon course took on some interesting when political dimensions when musicians objected — as they should — to the initial call for donated talent. Many Savannahians seem to have assumed that the Rock ‘n’ Roll Marathon was a nonprofit raising money for charity, but it’s the Rock ‘n’ Roll Marathon series is for-profit. There are typically featured charities that benefit, and some runners and groups on the course are raising money too, but those elements fit into a broader profit model. 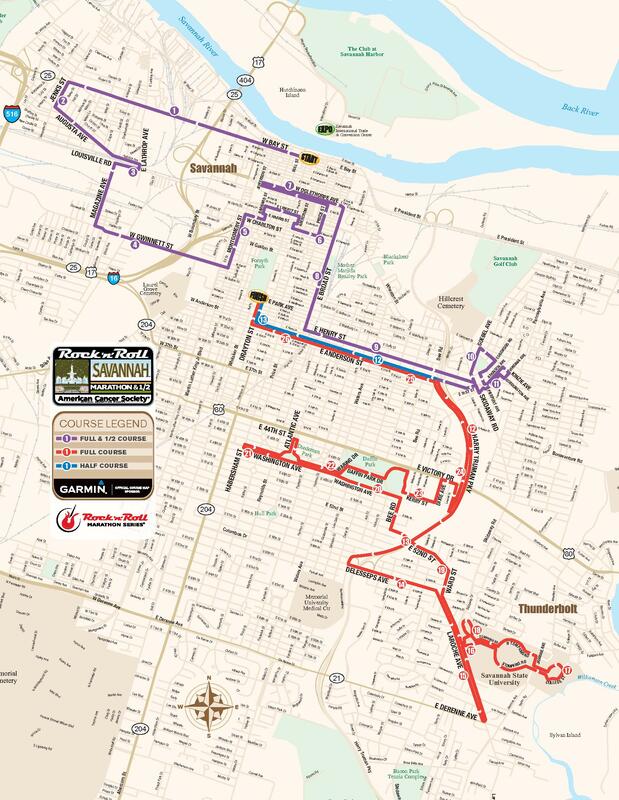 Click here for the band application for the 2012 race, scheduled for November 3rd. Applications are due September 14th. Click here for the Entertainment Solutions homepage. Last year, The Train Wrecks played in Forsyth Park both before and after the headliner (but new to me) Carolina Liar near the finish line. The bands for the park will be announced later, but I’m hoping we’ll get some of the higher-profile classic rockers who often get booked for Rock ‘n’ Roll Marathon gigs. 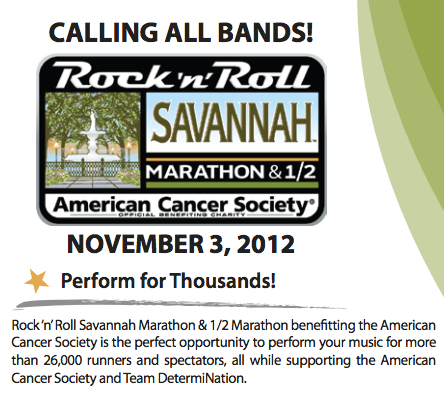 Click here for additional information on the 2012 Savannah Rock ‘n’ Roll Marathon. I have previously written about the changes to the course for this year’s event.